Did you know that you could make figures out of paper without the need of any scissors and glue? And also you can illuminate the figure with the circuit you build. Improves confidence as an art piece is made. It enables to gain experience about spatial and mathematical relations. Develops the ability to look at events from different angles. 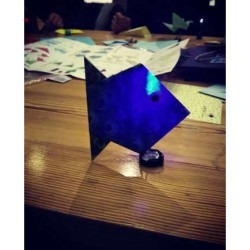 At the end of the experience, the children will be satisfied with the "Origami LED" they produce.Our product is not industrial. Problem solving is among our ultimate goals. When the circuit breaks down, we aim to find a solution to the problem and try to repair it. We want to cut the cable when there is no contact, lift the jumper at the end of the cable, and repair the connection itself. 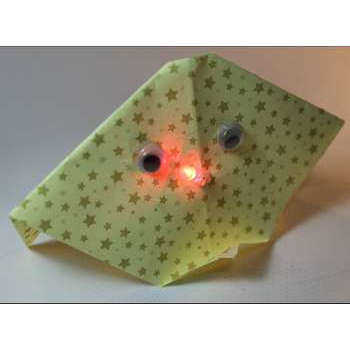 We used origami paper as the main body when we arrived. We want our students to differentiate their origami, hack and make different "Origami LED" using other materials. 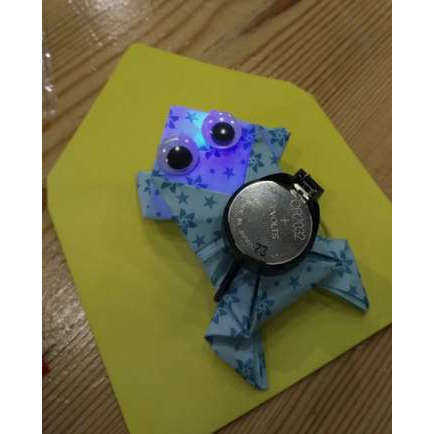 We want to be able to create new figures using other materials instead of Origami paper. We act on the principle of learning by doing-living and experimenting. E.g; fabric, cardboard, wall paper, etc. we want the origami to prepare the items. 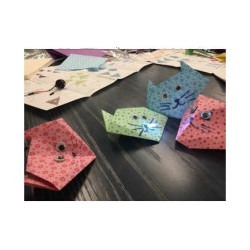 We want to make larger origami and change the paper type when doing so.